75 South to Exit 42. Right off exit right on Farmview- Right on Mistiflower, Right on Periwinkle. This fabulous 2 bedroom, 2 bath condo has a spacious open floor plan with gas fireplace, stainless steel appliances, walk in pantry, walk in closet in master suite, walkout to covered deck with beautiful wooded view and an attached garage! 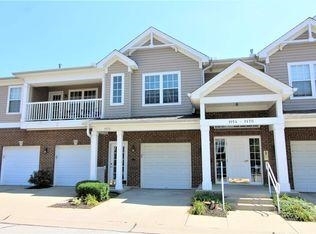 This condo is freshly painted and move in ready. HOA fee included water, sanitation, trash and much more.